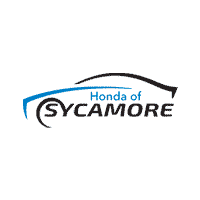 Why Choose Honda of Sycamore? Some dealerships conduct business like they’re a one-time stop kind of shop. They want you to just select any old car off their lot, quickly purchase it without covering finance options, and get you out their door. Their only concern is to make a sale. That’s not how we do things at Honda of Sycamore. Our top priority is the customer and their satisfaction, not the sale. Our dealership wants you as a customer for life. If you are in the Sycamore and DeKalb area seeking a new Honda model, but are uncertain of where to look in the great Prairie State, then you should turn your attention to Honda of Sycamore. Our exceptional Honda dealership proudly serves the people of Sycamore and surrounding areas. Offering a great selection of models, we give our customers choices because we understand that everyone has their own unique list of needs and wants when it comes to the vehicle of their dreams. Whether you are considering the all-new Passport or the ever-dependable Accord, our sales team will assist you every step of the way in getting the deal of your dreams. Contact us today to for a visit at your earliest convenience. When you arrive at our conveniently located dealership, we will attend to you with top-notch customer service. From happily greeting you at the door, answering all of your questions, and even setting you up for a test drive or two, our staff will make you feel as though you’ve been a Honda of Sycamore customer all your life. At Honda of Sycamore, you’ll find an extensive selection of Hondas in our new inventory. While we offer an incredible selection, even better are the amazing specials that go along with our selection. Our deals, however, are continuously changing; so, if you see a deal on our site that appeals to you, don’t hesitate! Call our dealership now, and one of our sales representatives will reserve that special for you. If your budget has you considering buying pre-owned rather than new, our Sycamore dealership’s used inventory carries an array of various brands, including models from Buick, Ford, Chevy, Toyota, and more. Our website makes it simple for you to find what you’re looking for with our helpful filters. Simply select the make, model, year, price range, and mileage you are looking for. Not only is there a great selection of pre-owned automobiles at Honda of Sycamore, but we also have great deals on our pre-owned inventory as well. At Honda of Sycamore, we want you to be a customer for life. Our dealership knows that once you purchase your car and drive it home, that won’t be the end of your automotive concerns. We understand that regular maintenance on your vehicle is necessary in order to keep your car running efficiently. Occasional repairs, oil changes, and tire rotations are just a part of caring for your vehicle. Let our dealership do the maintenance work for you in our service center. Our highly trained technicians can perform a variety of repairs no matter the make or model. And if you are worried that these maintenance services are too expensive, then worry no more. We have incredible service specials that are easy on your budget and ensure that you get the services you need. Schedule an appointment today, then bring your vehicle to our Sycamore dealership. Our service center crew will quickly get you back on the road in an automobile that’s as good as new.